And enter the “stone gate” (rock arch) into iventory. You got halloween candy if u harvest strawberry. Buy all 3 packs till it say you reach 100! refresh and look into your inventory they are now sitting pretty over there. 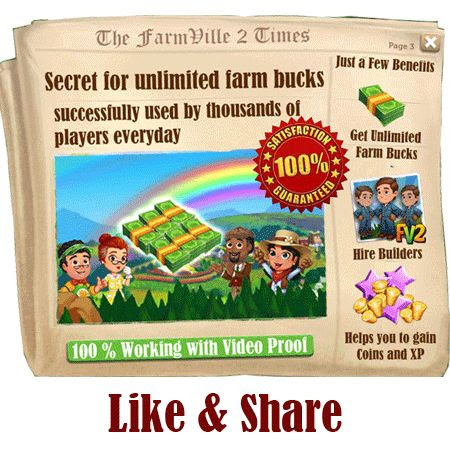 Please do not forget to like us on our facebook page for upcoming farmville 2 Cheats which will help you get Fertilizer, Speed Grow with many other features with nice user interface. We are really excited about upcoming cheat release and hope you all will love it so till next post ciao and till then Keep Farming, Keep Sharing and Keep growing.Happy Farming u all! Try This : Buy Old Wooden Fence worth 25 coins from marketplace. Go back to your game and move the Old wooden fence to Inventory. In the inventory you should have Baby bottle packs (2 or 5). Pls try and tel me if it worked for you ! Hey Bro Do You Try It With Wood Planks Brush And Other Materials ??? Share Your Tricks Dude ;) PLZ !!! 1. Buscamos los strings “obstruction_rock” y “obstruction_stump”. 3. Visitamos la granja de un vecino y posteriormente reiniciamos. De esta manera estos “estorbos” desaparecen. Can any one tell me how to build the furnace building without collecting the items…. i tried “e_building_furnace”, but it does not work…. How about the crosscut saw? can i change shrub into crosscut saw? can anyone tell me the code of wood plank and brick? humhari tu chat nahe lagi..
5. Open Calculator, Press Alt + 3, Go input the 4 digit code, Then on the left side of the Calculator make in HEX, you will be able to see a hexadecimal code. *I am not the original author, just re-sharing to help. Hey guys what software are you using to find all the codes for farmville 2? anyone knows how to get wood planks and brick and metal without neighbours cause i cant get anything of them i had issue that i cant fix about nothing appears in my fv2 mail … but i get notification that frndz send me requests .. i cant get them though !! Hey, with the silo cheat it shows up in my inventory but it won’t let me place it on my farm. Anyone know why? the code for water is 14400 at double and make the value 1. None of the above works with ‘plugin_installer.exe’ in CE 6.2 Can someone plz tell me how to install flash player plugin so that CE 6.2 would recognise it ??? thnx guys !!! hey guys, can anyone tell me how to get building materials like wood plank, metal etc. 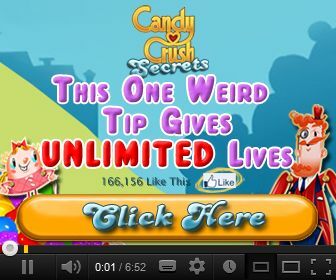 with cheat codes? How about the limited 5 action every 24h on Neighbor’s farm ??? :) i’m not able to find.. help ? To get water trough this is some what similar just like baby bottle packs. e_deco_fence_dilapidated and replace with e_building_watertrough_3 Go back to your game and buy fence from the shop and you will get the water trough. i didn’t get u chyrra. r u saying about water trough? wat i said is working perfectly. i used cheat engine 6.2.
did u use sting search “coins” chang to “farm bucks” ?